As part of Actikem’s strategy to be a more sustainable business, the company have developed plans to reduce their environmental impact by investing in new low carbon technologies that will also reduce energy consumption, saving costs and driving down their Carbon Footprint. To help with these plans, Actikem approached the Carbon Trust. After a detailed site audit a prioritised action plan was written. Actikem have taken the decision to invest in new low energy LED lighting in their warehouse and office spaces, and upgrade the air compressors at their Warrington site. The fluorescent lighting in the office space will also be replaced with special artificial daylight LED lights, simulating daylight, where in recent studies have been shown to improve employee performance by 15%. The Carbon Trust is an independent, expert partner of leading organisations around the world, helping them contribute to and benefit from a more sustainable future through carbon reduction, resourcing efficiency strategies and commercialising low carbon technologies. 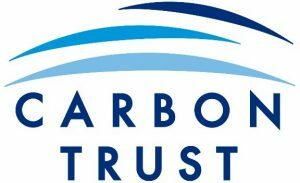 For more information on the Carbon Trust, please click on the following link: https://www.carbontrust.com.